It is not everyday that the CEO of Safaricom calls a press conference to complain about blackmail and extortion. Being the telecom giant it is, you would expect it to be insulated against such acts and also expect that the person(s) doing this have to be ballsy, politically connected or both. In the last two weeks, the leaked internal audit by KPMG dealt with the sh. 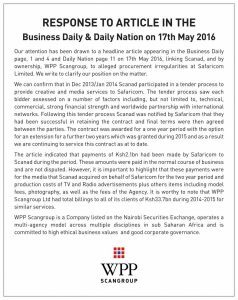 2.1 billion pay out to ScanGroup for various media services and then emerged that the bigger battle was more about the lost tender by Transcend media and then the bigger fight over frequencies allegedly led by lawyer Kenneth Kiplagat and his drive to have the report well publicised. Oliver Mathenge has done a nice analysis on how and who may have leaked the report and the motivation. Manwa Magoma had written why Safaricom may be a target; he also serialised the tweets for those allergic to long reads. 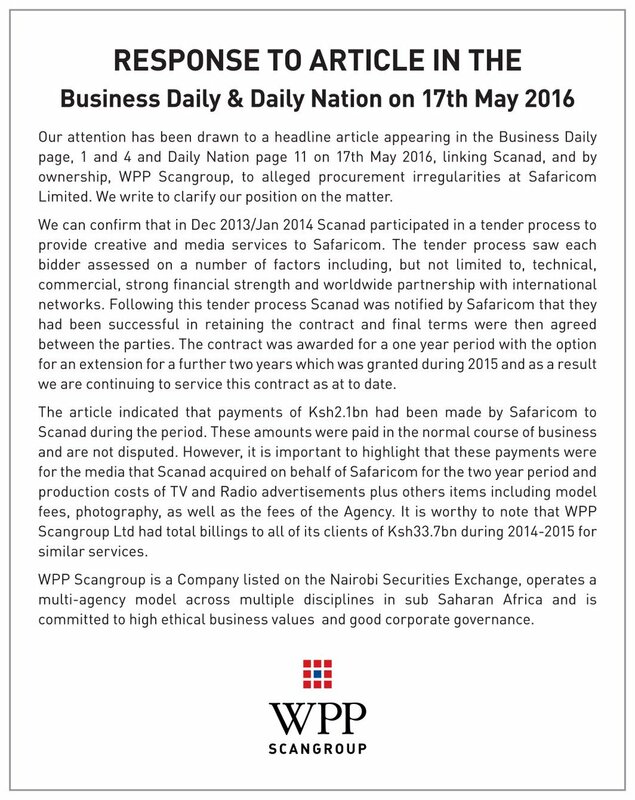 John Kamau covered why Transcend Media lost its tender. 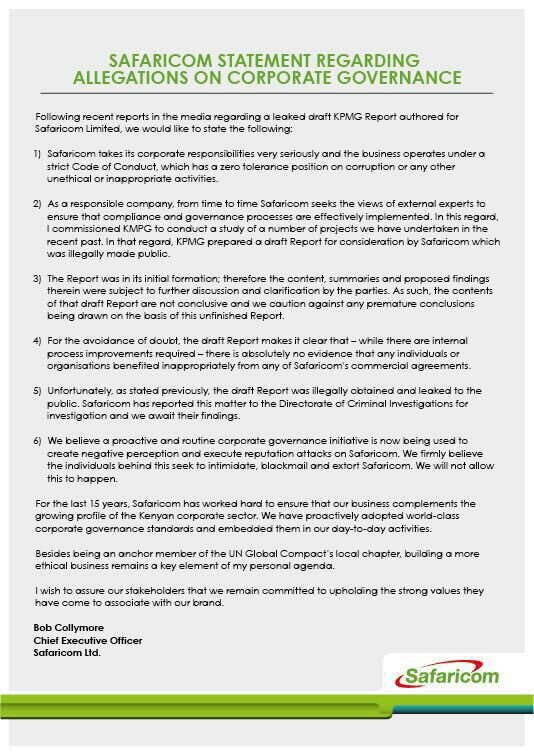 From the media advert placed by Safaricom, it was clear that the matter will drag for long. Bob Collymore, Safaricom CEO indicated that the matter had been reported to the police and given that the leaked report was hard copy, we can only wait and see whether the police will arrest the culprits. It was also clear that heads will have to roll. 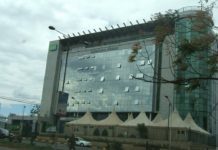 Safaricom insisted that the report was only draft and the mentioned employees were yet to be given a chance to respond, but the die might be cast for employees mentioned. No matter how good the defence is, this one may be hard for the people adversely mentioned. This whole saga has left everyone at Safaricom on edge, people holding the trigger have become twitchy because everything is under the microscope. Whatever decision taken from now on, it may not be fair but will look justifiable. 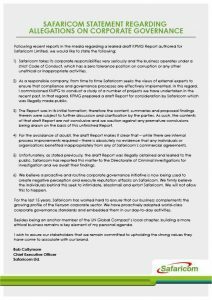 ScanGroup also felt the need to explain why sh. 2.1 billion was not a lot of money, given that the company handles sh. 33 billion business annually. Here is the advert. Sometimes back, I had a conversation with an American company with a huge contract with the government, and they are milking the public. I wanted to know more how they select local partners and the answer was that they depend on media coverage, the more you are covered, in good light I presume, the more you are likely to get partnership. I suggested that the selection process may be flawed because there are so many companies doing good work but not necessarily covered in the media. The argument is that they need to calculate the risks and a known and famous company offers lesser risks. Back to the Safaricom story, different companies have a different way of calculating risk and for Safaricom, Transcend’s adverse media coverage was a risk they were not willing to take. Maybe they didn’t want to be caught up in the same trajectory but we may never know. We may never know the actual reason for the tender decline but maybe soon enough, given the trends. 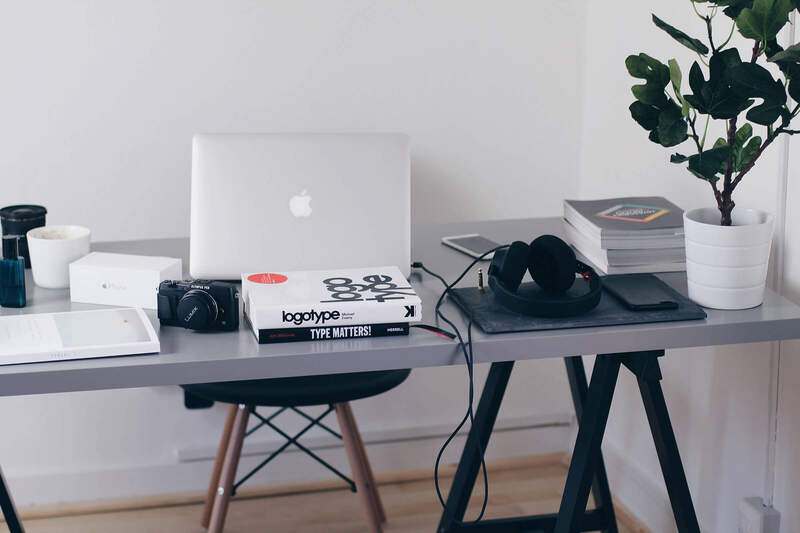 Risk is a double edged sword; the same way companies seek to defend themselves, it can also be an excuse to exclude certain parties from the bidding process. This is where that discretion clause in those tender documents comes in. Even in government tendering, the issue of risk is part of the tender documents, but this mainly relates to court cases. The documents ask one to state the cases pending in court or decided, as a way to tell the litigious types or the vexatious litigants. This ground can make you lose your tender, regardless of performance. But do our public institutions cite risk as a reason to decline the tender? This is cited as one of the reasons for the internal audit commission and is also a common reason for some tenders to be declined, and there are several court cases pending on that front. Whether there were valid reasons on the ethical front, details will surely emerge. The big question still remains, can smaller companies be part of Safaricom chain? Previous articleWhat can we expect from Mucheru, Kyalo in ICT? Next articleDo local, smaller companies stand a chance at Safaricom? Ethics and governance is a big problem in managing companies in the country.